Home » » NSCDC arrests car thief who hid for two years. 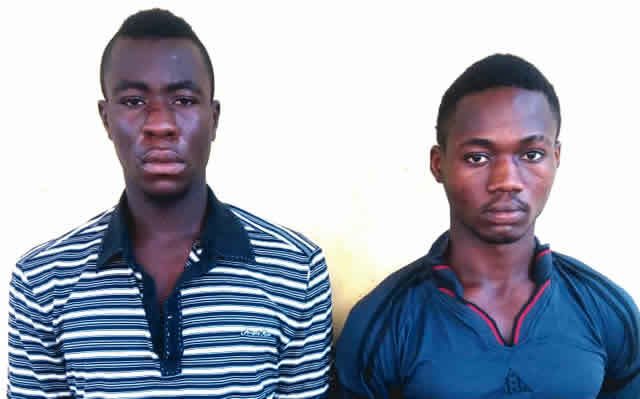 NSCDC arrests car thief who hid for two years. The Imo State Command of the Nigeria Security and Civil Defence Corps on Thursday announced the arrest of a 39-year-old suspect, Promise Livinus, who allegedly stole a car under false pretences and went into hiding for two years. Livinus stated,”I collected the car from the owner by pretending to sell it for him as agreed, but I sold it and took the money away. I had to change my SIM card so that I could not be traced. I met my waterloo a year after, when I was seen and apprehended by the officers and men of the corps.